Revive Hairdressing is a busy salon on St John’s Road, Tunbridge Wells, with free parking available next door in Freeway Tyres and Exhaust. We offer services for ladies, gentlemen and children. 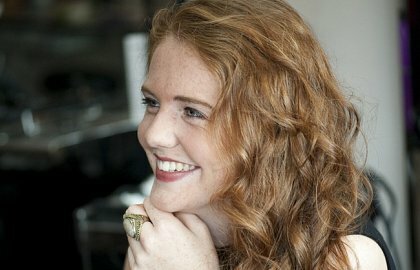 We are passionate about hair, and firmly believe that visiting a salon is not just about a haircut, but an experience. Our salon boasts top of the range facilities offering leading edge products, high quality treatments and most importantly to provide exceptional service. We are confident that you will leave our salon not just with beautiful hair, but with a spring in your step. We proudly work alongside Davines hair care, Olaplex treatment, Zen Luxury Extensions, Cloud Nine styling tools, OPI nail polish, XEN-Tan, NanoKeratin, Invisibobble and Spongelle. Please note cancellations need to be made within 24hrs otherwise 50% of the treatment charge is due. Please remember Davines started this journey in 1983 a long time before CO2/proliferation of plastic was on any Governments agenda, we are very proud to stock this brand and be part of this community! 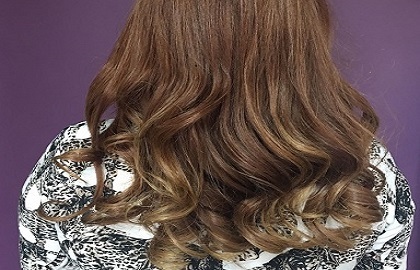 Our team are experts at hair colouring and advising on treatments and products for healthy hair. We use Zen luxury hair extensions to add length, volume and colour. To complement our hair services, we offer bespoke OPI manicures and XEN spray tans. I can happily recommend both Krissy and Kim for cut and colouring - I have been really pleased with the results after every appointment and the ladies take their time to both listen to me and offer suggestions. A very professional, relaxed and and friendly salon with a personalised service. All the staff are incredibly welcoming and the location is great, with parking as a bonus! I was recommended to go to Revive and now wouldn't hesitate to recommend it to anyone; the fact that I travel about 100 miles from Oxford to get my haircut and coloured says a lot! The girls are all so friendly. Revive your hair at this super salon. The products used at spectacular and the quality of hairdressing by Krissy and her team is second to none! Happy and friendly every time I visit. Go on... you deserve a treat! I’ve known Kim for many years, she’s a terrific hairdresser and great fun to have a conversation with. I always look forward to a visit! 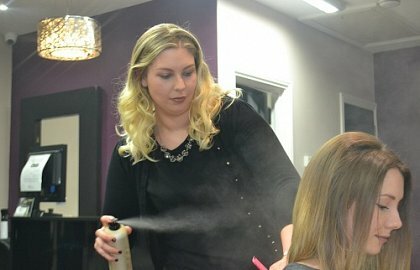 I have been a client at Revive for over a year and would highly recommend it to anyone looking for a new salon. Krissy, always punctual, welcoming and professional, cuts my hair exactly as requested and I keep coming back again and again. Krissy has been my favourite hairdresser ever since she first did my hair (several years ago now). She consistently does such an excellent job that my wife always comments on how good my hair looks after she has cut it! I have been coming to Revive since the day it opened and prior to that Krissy did my hair. I would never go any where else! In fact I have been in the states for a couple of months and rather than find a stylist, I tried to dye my own hair!! what a disaster! Called Krissy booked in first thing when i landed, and she sorted it out for me. Never have to worry about styling as all the stylist are so creative and listen to your needs! I always feel so welcome and I can't be the only woman who feels so relaxed, I could and often do fall asleep especially after a massage! Hair up, Vintage or just a blow dry! The place to go is REVIVE! Krissy, Kim and Molly what a fantastic team. Thanks everyone and it's good to be back. 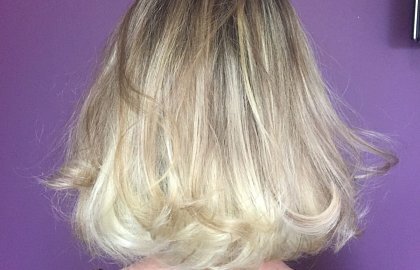 I have been going to Revive Hairdressers in Tunbridge Wells for some time now and tell you how delighted I am with the way Kim cuts and colours my hair. I would not want to trust anyone else, but having watched Krissy cut hair, if Kim was not available, I would want Krissy to do it. It is a lovely salon, with a very friendly atmosphere and I always feel welcome, and the parking is very convenient.